Their jewellery is designed in house by award-winning designers. These designs are then produced using a mix of the latest technology and traditional techniques to create unparalleled intricacy and detail. 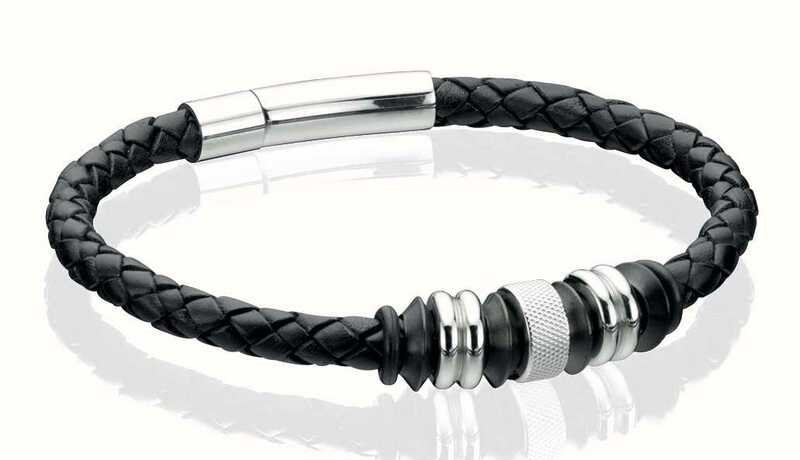 Each piece is crafted from the finest materials, including premium leather, semi-precious stones, sterling silver and stainless steel. Embodying an iconic rebellious attitude, The Maverick collection is for those who don't obey the rules. Punk and tribal influences combine with stainless steel and leather to create a bold look. For maximum impact wear stacked up. Presented in Fred Bennett branded packaging.